A clinical staging system for cancer patients provides guidance for patient assessment and making therapeutic decisions. It is useful in deciding whether to treat a patient aggressively, and in avoiding the overtreatment of patients who would not tolerate the treatment or patients whose life expectancy rules out any chance of treatment. Clinical staging is also an essential tool for comparison between groups in therapeutic trials and for comparison between different studies. The current classifications most commonly used for hepatocellular carcinoma (HCC) are the Okuda stages, the Child-Pugh staging system, tumor node metastasis (TNM) staging, and the Cancer of the Liver Italian Program (CLIP) score. Among these, the CLIP score is currently the most commonly used integrated staging score, including both tumor stage and liver disease stage. Although the CLIP score has been well validated by many authors in terms of its prognostic value in HCC patients, this score has some problems and limitations when applied to currently diagnosed HCC patients, who are diagnosed in the early stage of disease. First, the CLIP score can discriminate score 0- to 3-patient populations, but it is not able to discriminate score 4- to 6-patient groups. Second, the definition of tumor morphology in the best prognostic group is too advanced, i.e., uninodular and a tumor extent of less than 50% of the liver. As a result, the prognosis of the CLIP system best prognostic group is not so good. In other words, this system cannot identify the best prognostic group who would benefit from curative and aggressive treatment. Third, nearly 80% of the patient population is classified as having a CLIP score of 0–2, as confirmed by many studies, which shows poor stratification ability. 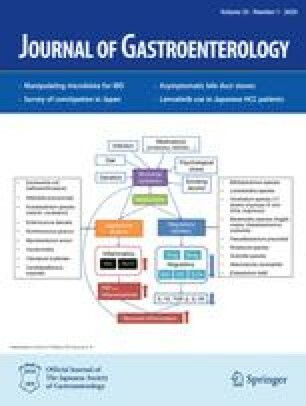 In contrast, a new staging system based on the Liver Cancer Study Group of Japan (LCSGJ), the Japan Integrated Staging (JIS) score is currently proposed in Japan. This staging system combines Child-Pugh grade (grade A, score 0; grade B, score 1; grade C, score 2) and TNM staging by the LCSGJ criteria (stage I, score 0; stage II, score 1; stage III, score 2; stage IV, score 3). The stratification ability of the JIS scoring system is much better than that of the CLIP scoring system. The JIS scoring system also performed better than the CLIP scoring system in selecting the best prognostic patient group. The cumulative 10-year survival rates of the best prognostic groups in the CLIP staging system (CLIP score 0) and JIS staging system (JIS score 0) were 23% and 65%, respectively (P < 0.01). All scoring systems arise as a compromise between simplicity and discriminatory ability. We confirmed that the JIS score increases predictive efficacy, while remaining simple compared with the CLIP score. Because the JIS score is quite easily obtained and is objective, we strongly propose it for widespread use as a prognostic staging system for HCC in clinical practice.